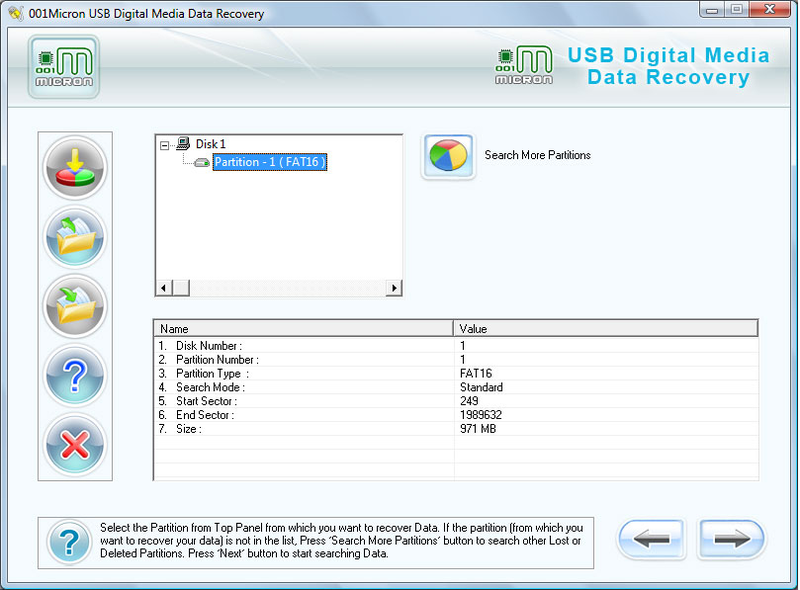 UDM Downloads > Digital Media Recovery For USB! Removable media files recovery utility salvage all deleted, corrupted, and formatted office documents, pictures, images, photos, music files, audio, video clips with ease in an appropriate way. USB drive data retrieval software is an efficient solution to undelete your entire data loss from USB removable media including compact flash, smart media, secure digital card, multimedia card, memory card, XD card, smart media, jump drive etc. Removable media file retrieval software uses advance algorithms for fast and deep scanning of your secure USB drives to recover and restore all corrupted mp3 files and folders in original format and also facilitates user to preview the files before actual recovery and provides user with option to save recovered file at specified location that can be reused in future. Detachable USB storage media recovery software regains data lost in case of accidental deletion, virus attacks, formatting, unexpected system shutdown, human errors or any logical failure during data access. Removable device data salvage program supports recovery for all variety of file types including pictures and images (jpg, jpeg, gif, bmp), audio & video songs (mov, wav, avi, mpeg, midi etc), documents (txt, html, doc, ppt, xml etc) and similar file formats. USB digital media data recovery software has easy to use GUI interface which facilitates user to understand the software and operate with ease without taking any technical training. Features: *Recover all important files folders music songs text document video images from the USB digital media device. *Support recovery of all important lost files and folders from major removable storage media drives. * Software offers data recovery, file repair and disk diagnostic capabilities. * Data recovery even after files is deleted using (Shift+Del) keys.